Wireless headphones are great. There's no question about it. I became a convert after using the Noontec ZORO II last year, which are so good that I haven't touched a wired pair since. But recently I found myself using -- and liking -- another Noontec product more. It's called Hammo TV and it's pair of wireless headphones designed for the television crowd. But, based on my experience, the Hammo TV is also great if you just want to listen to your favorite tunes on your smartphone or enjoy a movie on your laptop. And, compared to the ZORO II set I reviewed, they have a lower MSRP and are better value too. Let's talk about what you get in the box first. 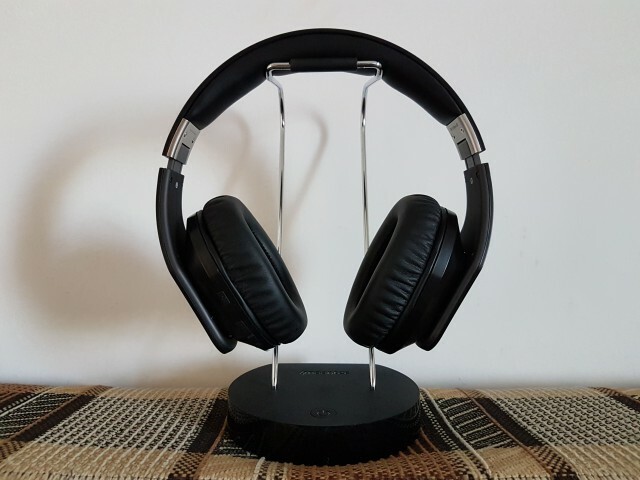 With the Hammo TV, Noontec gives you a pair of wireless headphones and a docking station so that you can use the headphones wirelessly with any TV. If your TV does not support wireless headphones, you can hook it up to the docking station using the provided cables and you'll be ready to go. The docking station also serves as a hanger, so you have somewhere to put the headphones after you're done with them. Also, it comes with a full-sized power port, on top of the microUSB port that's used to power the dock itself, so that you can charge the headphones too. It is worth noting that the Hammo TV can be charged only through its headphone jack, so the USB cable that's in the box has a 3.5mm jack at the other end. Of course, you also get an adapter so that you can power the docking station and a microUSB cable for that as well. You also get a 3.5mm audio cable so that you can physically hook up the Hammo TV to your device of choice. It's a well thought out setup. However, because the Hammo TV is first and foremost a pair of wireless headphones, they have to work well in this setup. And, based on my experience, they do. The range is similar to the ZORO II, which has the best range of any Bluetooth device I've used, and the pairing is dead easy. Noontec quotes a range of up to 10 meters, but that's in an open space. Through walls it'll be less. How's the sound quality? I'm no audiophile, but I find that the Hammo TV offers a nice, quality sound. I've tested it using a range of sources, from YouTube to movies and music, and it's performed really well. The sound quality is helped by the larger cans which fit well over my ears and are comfortable too. I would say it is similar -- if not better than -- to the ZORO II, in terms of audio quality. The larger, comfortable cans of the Hammo TV form a tighter seal around your ears, which helps. If you prefer that feel, the Hammo TV makes more sense. The battery life, which is quoted at 50 hours as opposed to 35 hours for the ZORO II, is clearly better. I have yet to charge them, and considering how much I have used them I think it's accurate. The ZORO II was great in this regard, but the Hammo TV is more impressive. The Hammo TV seems well built as well, but don't expect to find any fancy materials here or a crazy design. They're all black, with a smooth finish on top, save for two aluminum pieces that are part of the hinges. The headphones fold in, just like other pairs, but, because they're meant to live in your living room, there is no carrying case as with the ZORO II. How much does it cost? Noontec sells the Hammo TV for $119.95, which is an MSRP lower than for the ZORO II in the setup that I tested. Personally, I find them better overall and, because of that docking station and the cables it comes with, a much more versatile product as a result.